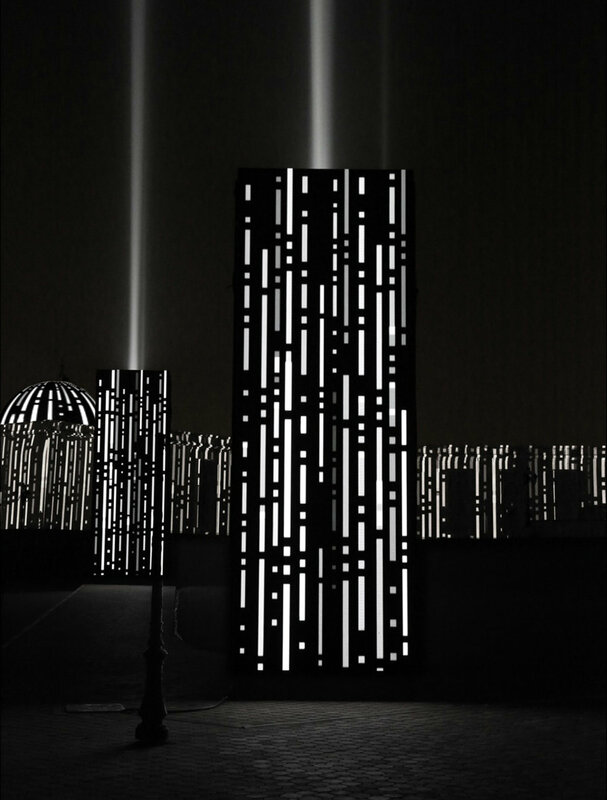 Monoliths is a reflexion in regard to the massive digitalisation of our environment and the benchmark lost that it creates. 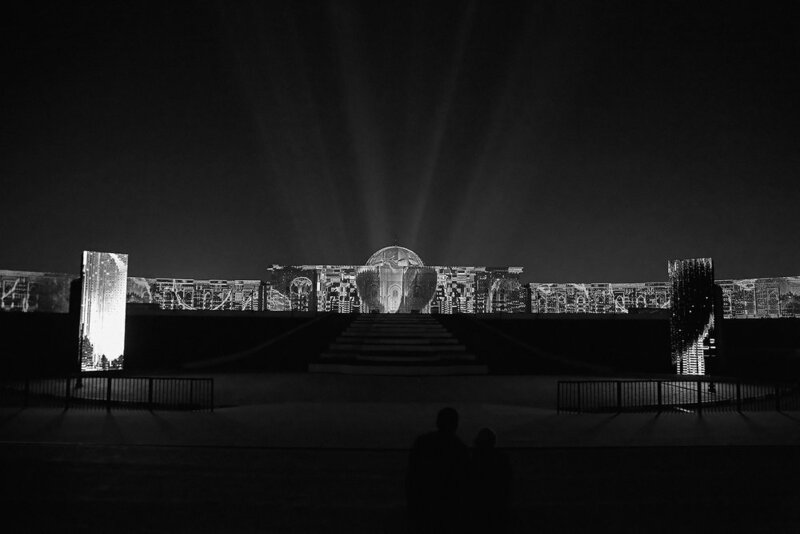 As a consequence of the new technologies and through our multiples avatars, we could be in a lot of places at the same time but rarely fully in one. 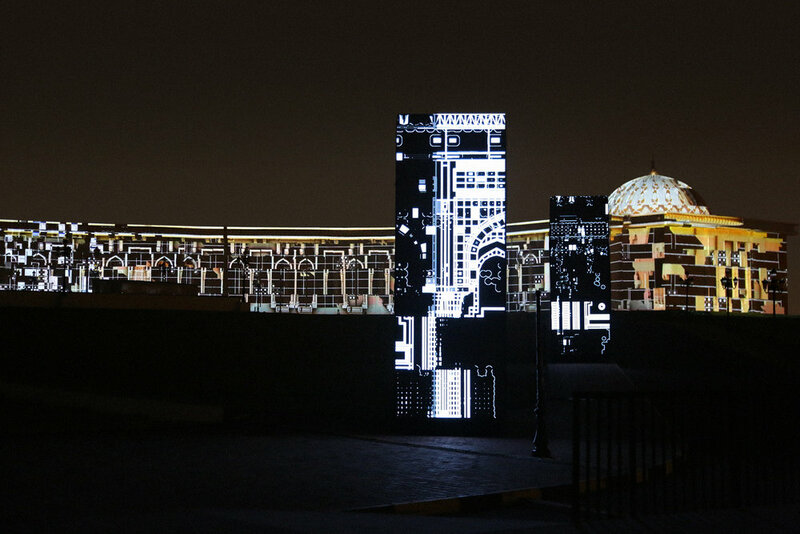 It was presented for the opening night of the Sharjah Light Festival 2018. 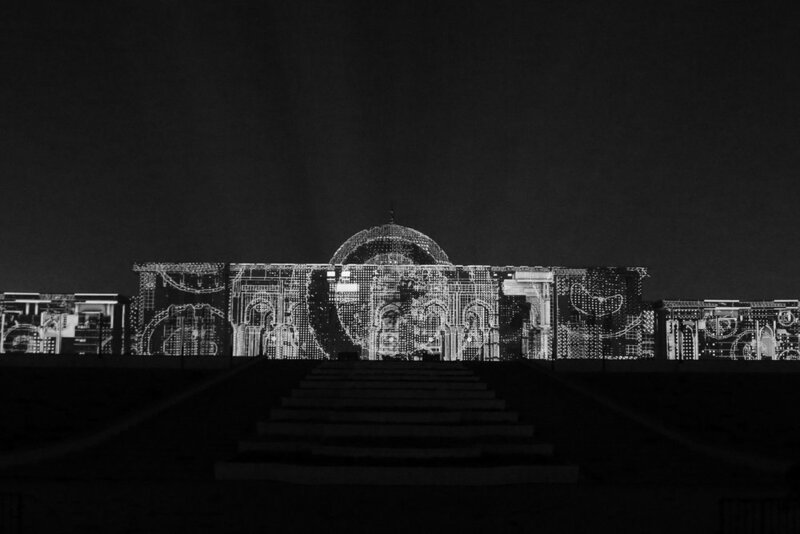 17 projectors of 20k, 4 led tower of 7 x 2,5 meters and 12 Skytracers compose this large scale audiovisual installation.